A1K9 first started supplying personal protection dogs over 20 years ago and the dogs were kept in kennels at the house. A1K9 is Regarded by Many as Being The Leading Personal Protection Dog Training Company in The World. Found over two decades ago, A1K9 is regarded by many of the leading personal protection dog training company in the world. We pioneered the concept of family protection dogs in the UK and since then have sold more than 1,000 highly trained personal and family protection dogs to customers and their families globally. A1K9’s roots can be tracked back in excess of 20 years when I, Charles Wall moved to Cwmdualais, just outside of Swansea in South Wales. My co-director and I, Gaynor Probert, conceived the idea of training and supplying personal protection dogs and this appeared to be the perfect location for it. Starting off in 1993, we started small with just a few dogs. We combined training techniques from a number of disciplines whilst also putting our own spin on an intensive training and evaluation programme for the dogs. 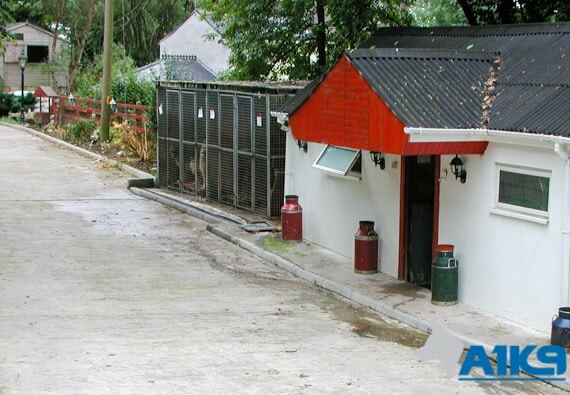 We refined the process and started to sell trained dogs, initially by family and friends. The company grew and by 1995, we had half a dozen dogs in our kennels, which was situated at the house. We personally tended to all the needs of the dogs and the business. We cleaned the kennels, walked and trained the dogs ourselves, whilst also handling every aspect of the business from marketing to its accounts. As A1K9 and its reputation grew, it became apparent that more dogs, more space and an increase in staff was needed to allow growth. We started renting space at kennels nearby to satisfy this demand and by the end of the 1990s, we were renting around 20 kennels and had employed three new members of staff. This was in addition to still having a growing number of dogs at our kennels at home. A1K9 Has Over The Last Two Decades Become Known Worldwide For Supplying Top Notch Family Protection Dogs and Personal Protection Dogs. The continued increase in business triggered a major investment which resulted in building bespoke kennels and indoor training facility big enough to handle the rapid growth in interest in A1K9 and our dogs. This was completed in 2003 and remains the focal point of the business today as well as housing the majority of the company's dogs and providing a suitable space for training. Our dog training centre is also used for more general dog training and obedience classes where dogs and owners can attend and learn from our team of experts at A1K9. Today, the company remains at the cutting edge of the personal and family protection dog business both in its international scope and the intensity of its training techniques. Our reputation has predominantly grown by word of mouth. The business has thrived and expanded not just due to the quality of our dogs and training but also thanks to our meticulous focus on customer service and quality. On the back of this, we still have a very much hands-on approach but we now employ seven full-time staff, and a number of volunteers also help. The kennels are home to 40 dogs, that are either trained or in training; the majority are handpicked from select working bloodlines that we source from Europe and import into the UK. 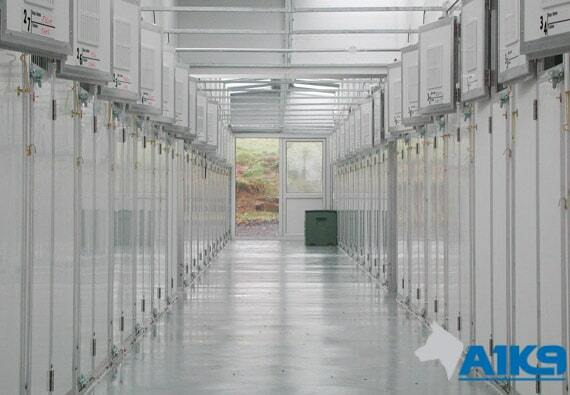 Our bright and airy kennel complex can house 40 plus dogs. They are a modern modular design constructed of upvc making them easy to clean and warm and comfortable for the dogs. Wealthy businessmen and celebrities are among the company's personal protection dog clients with requests regularly made from customers in different locations around the world. We have to date supplied family protection dogs to customers in over 30 countries worldwide and this number is growing year on year.